Ticao Island Resort is surrounded by several dive sites where you have the choice of big or small. There are 4 general dive areas in around Ticao Island Resort. Click for more information. The Manta Bowl, is the cleaning and feeding station of Manta Rays. The Manta Bowl Shoal is an underwater atoll which covers a 7 to 8 hectare flat area. 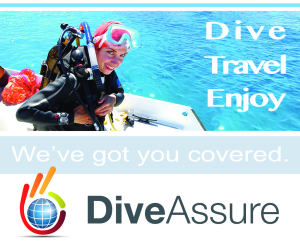 Dive sites here which range from 14 to 29 meters and all offer the chance to see the big marine creatures. The waters where the Manta Bowl lies – Ticao Pass and Burias Pass – is known for the plankton rich water and constant current. Such traits make the waters of Ticao an alley for other pelagics like Whale Sharks, Thresher Sharks, Hammerheads, and Tiger Sharks. This is hand’s down a premier dive area. The reef is located in the middle of Ticao pass and is 4 to 5 hectares in size. It is a cleaning station for large pelagies like Manta Rays, Whale Sharks, Thresher Sharks, Hammerheads, and Tiger Sharks. As the name suggests, Manta Rays are the most common as is one of their cleaning stations and the Mantas are in the area all year round. Whalesharks can also be encountered while diving as they feed and swim past Manta Bowl. The best season for whale sharks is from November to June. White tip and Black tip Sharks, schools of Skip Jack Tuna, Barracudas and Trevally are not strangers to theare either. Soft corals and hard corals can be found on the the shallow part of Manta Bowl while rock, sand, and rubble are more common in the deeper areas. The most dramatic site in Manta Bowl. Lots of rocks, ridges and short walls where divers can hide from the current and watch the action. Also the shallowest part of manta bowl at 14-16 meters. Corals both soft and hard carpet the site. Great spot to wait for mantas and passing Whale Sharks. A large amount of reef fishes make this area their home. This site is located on the western side of manta bowl, depth is 18 meters. There are ledges that gradually descends to 25 meters and beyond soft corals. Stony and hard corals cover the area called Tuna Alley because of huge schools of skip jack tunas that cruise over the dive site encounters with whale shark is common here. As they tend to follow the schools of skip jacks as they race past the reef following them prey. Located east of Manta Bowl with depth averaging 20 meters with a maximum depth of 25 meters. Hard corals and soft corals cover the site. Lots of reef fishes. The deep part is mostly rubble isolated coral and rocks and loose sand. Cleaning stations pepper the area and mantas can be regularly seen here. Site is located on the western part of Manta Bowl similar in depth, bottom composition, and marine life to Manta High. Shark Apartments is located behind R.A.C Point. Underneath huge rocks and coral heads are Black Tip and White Tip Sharks. Site is covered with both hard corals and soft corals. Schools of reef fish is popular the area. Depth is 18-20 meters. Favorite cleaning station of both Mantas and Thresher Sharks, 2 square meters of rock and hard coral inhabited by several species of reef fish surrounded by loose sand, rubble, and located near the steep sandy slope. Located north of Manta Bowl between Manta High and Manta Low. Made up of loose sand and rubble and very near the steep sandy slope. Drop off 22-25 meter depth called “runway” because of Mantas emerging from the deep swimming up the slope and gliding down and gently landing at their favorite cleaning stations not the site. San Miguel Island is located on the northern part of the main Ticao Island. This is about a 45 minute travel from the resort. Each dive site has its own unique flair, but on a general note dive sites here are known for the beautiful coral cover and the macro critters. A superb dive site north of San Miguel Island. Mix of sandy slope, ledges, reef wall, steep slope, rock formations and sheer wall with caverns and overhang. Entry point is inside a cove with white sand beach which is also great for snorkeling, swimming, and beach combing. Rare and unusual varieties of nudi branch, frogfish, sea horses, coleman shrimp, spider crab, and banded pipefish, to name a few, can be found here. Much of the walls and rocks are full of encrusting marine life and critters. Bottom is 5 meters at entry point. Base of the wall is 25 to 30 meters. South of San Miguel Island. Entry point is inside a cove called Halea. From Halea this can be a shore entry or boat dive. Sandy slope, ledges, rock formation, short wall, soft coral garden, and hard corals can be found. Lots of reef fish, schools of bait fish, nudi branch. Maximum depth is 25 meters. Area is also excellent for swimmers, snorkelers, and kayakers. Southern tip of San Miguel Island named after three huge rocks near a drop off. Steep rocky slope, sand slope, ledges and rubble slope. Can be shore entry via Halea or may be a boat dive. Strong currents in the area produced a lush coral growth. Soft and hard corals carpet the shallow and deep. Reef life is amazing. Maximum depth is 25-30 meters. Located west of San Miguel Island. Ideal site for all levels of divers. Has a small beach for shore entry. Has a ledge 20 meters wide from beach to drop off. Bottom at entry point via boat is just 5 meters. Dive site is characterized with walls and a steep slope. Mostly encrusting corals and boulder corals. Fusiliers, rainbow runners, snappers swim along the wall and drop off. Interesting critters inhabit the shallow ledge part of the dive site. Maximum depth is 25-30 meters. Bottom of the entry point is 5-8 meters and has a ledge made up of rubble and scattered rocks. There are ridges and a short wall before the drop off. Rock formation very near drop off is covered with marine life. “The Golden Army” of corals (dubbed because of the coral’s color) is found growing on top of the rocks. A nudi branch paradise. Maximum depth at 18 meters. Lighthouse cove or “Parola” is situated north of San Miguel Island. When inside and facing east, a huge hole or cavern can be found on the right corner. Half of the formation is submerged while the other half is above the surface and home to numerous bats and swiftlets. Nearby or on the opposite side of the cove is Bobby’s wall. Entry can either be shore or boat. Follow the sandy slope, turn right and divers will encounter rock formations and a wall teeming with fishes and corals similar to the nearby dive site, Bobby’s wall. There’s a massive boulder loaded with critters called the “Sentinel” and the turning point of the dive. Exit or safety stop area is near the mouth of the cavern. Pop to the surface and enjoy a spectacular view. Maximum depth is 25 to 30 meters which is the base of the ‘Sentinel’. Ledges, steep rocky slopes, rock formation and walls, jam packed with corals and reef fishes of every size, shape, color, and hue. Unbelievable marine life mainly due to the strong current that regularly washes the site. Start the dive at the eastern side of Lapus lapus Island and head to the area called the “South Road”. It is a boat dive and bottom at entry point is just 5-10 meters. Divers can max at 25 meters to 30 meters. Creature density remains the same at every depth. Udoc Island is also located on the northern part of the main Ticao Island and is just next to San Miguel. This is about a 45 minute travel from the resort. It is a rock island surrounded by a ledge 5 to 10 meters from the surface. Mostly wall, and a mix of gradual sandy slopes to steep slopes. Divers can go down to a maximum depth of 30 meters. Starting or entry point of the dive site is a ledge with depth of 5 meters bottom is a white sand. Steep slope and wall with scattered rocks along the ledge. Soft corals, green tree corals, whip corals, sweepers, fusiliers, snappen schools of silver sides swim along the wall. Mostly soft corals here and there. A soft coral garden. South west of Udok Island. At certain months of the year, the bottom of the site is covered with algae -hence the name. Unusual critters can be seen among the rock and rubble. Technically no longer part of Udoc Island. This is located northwest of Ticao Island and separated from nearby Udok Island by a deep channel. A picturesque white and cove flanked by stony, branching coral reefs on the left and right side. Great stop over point and a place to spend the surface interval. One can swim, snorkel and skin dive its clear and calm water or just relax and enjoy a quiet lunch. As a dive site, the sandy slope starts at the beach and goes all the way down at a very steep angle to the channel. Unusual and unique critters can be spotted at the bottom. Gobies, blennies, nudi branch, eels and the elusive black hairy frog fish. Divers can stay shallow at 5 to 15 meters or go all the way down to maximum 30 meters. Slandy slope continues to descend to the channel. For guests that stay at Ticao Island Resort, there are 3 dive sites right on the bay fronting Ticao Island (Tacdugan Bay). The sites are bit too far for a shore dive but is about a 5 minute boat ride. Submerged rock outcrop located 5 minutes from Ticao island Resort. 200 square meter in size jutting from the white sand bottom tip of the rock is just 2 meters below the surface. Top is covered with soft corals and fan corals. Base of the rock is 14 meters below the surface. Sweetlips, banner fish, trumpet fish, fusiliers, sea slugs, sea cucumbers mild to moderate current. Excellent for night diving and macro photography. Shoal at the mouth of Tacdugan Bay. Front of Ticao Island Resort. White sand bottom covered in soft and hard corals. South part of the shoal is sandy slope with shallow rock wall rest is mostly rocky sand and rubble. Average depth of 14 meters. Sandy slope 25 meters. Shallow part 5 meters. Parrot fish, Banner fish, Damsels, Angel fish, Sea Slugs, Sea Cucumbers are very numerous. Mild to moderate current. Excellent for night dive and macro photography. Right corner of Tacdugan Cove. Fringing shallow reef and white sandy bottom with scattered corals max depth is 14 meters. An ideal micro dive site: Bob tail squid, nudi branch, frogfish, octopus, leaf fish. Prawns, crab, shrimps, whip coral garden and a soft coral garden. Ticao Island Resort’s Dive Center is an SSI Accredited Center and all our dive pros have PADI and/or SSI certifications. For dive courses, the resort has PADI and SSI dive instructors. The resort offers courses from Open Water all the way to Dive Master.